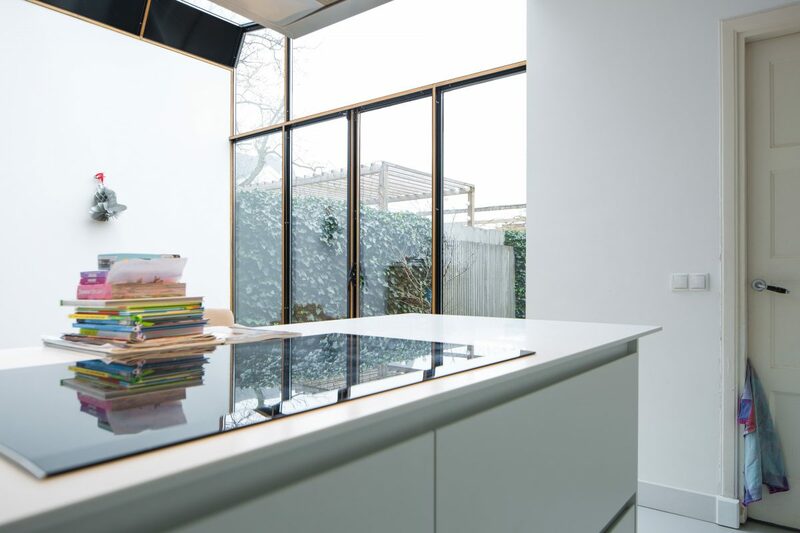 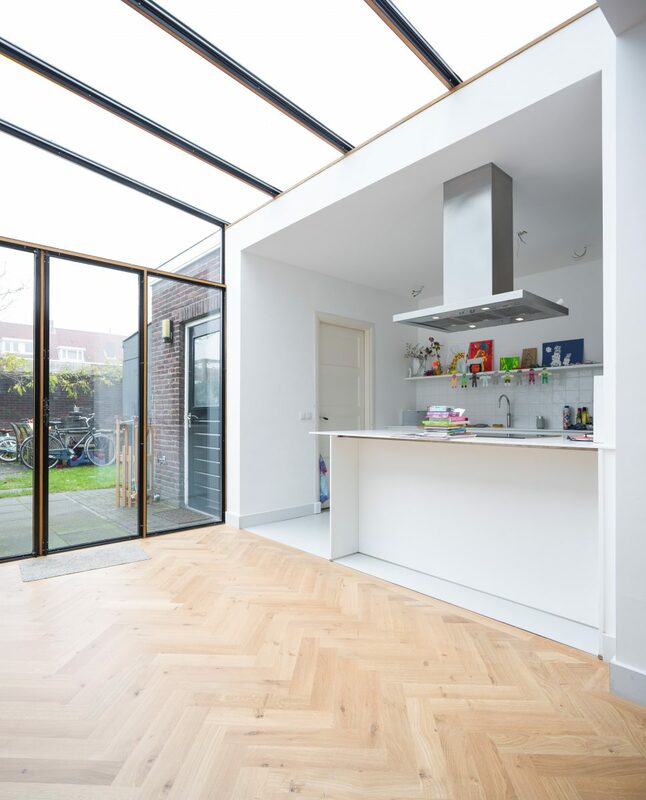 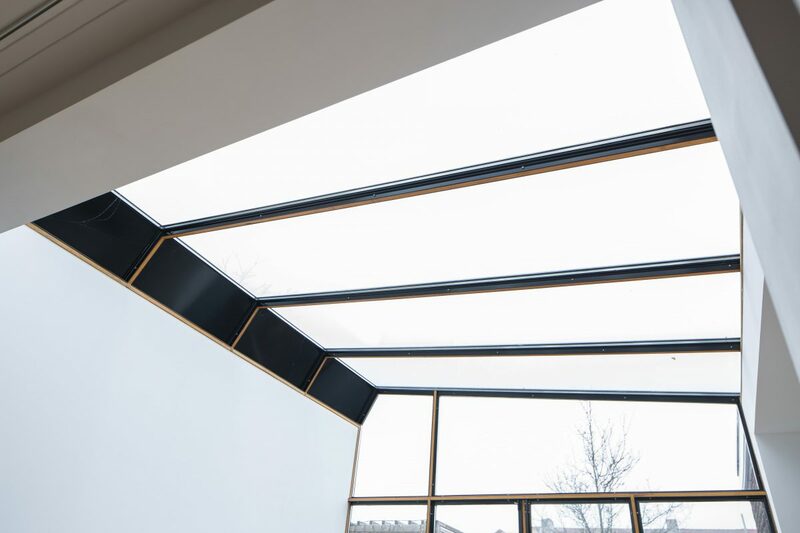 This extension adds a light -bathing space that connects the kitchen to the living room. 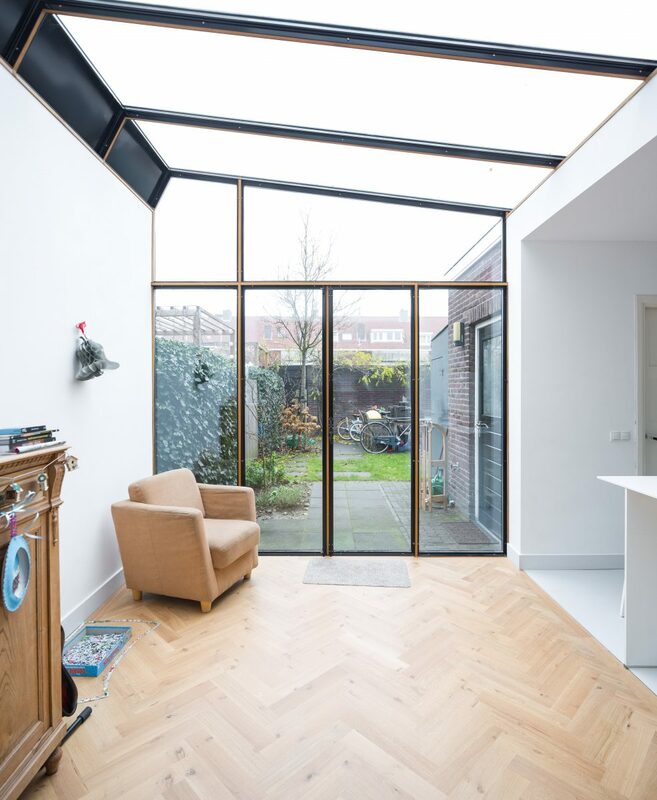 The off-centered pitched roof gives the space both character and privacy from the neighboring garden. 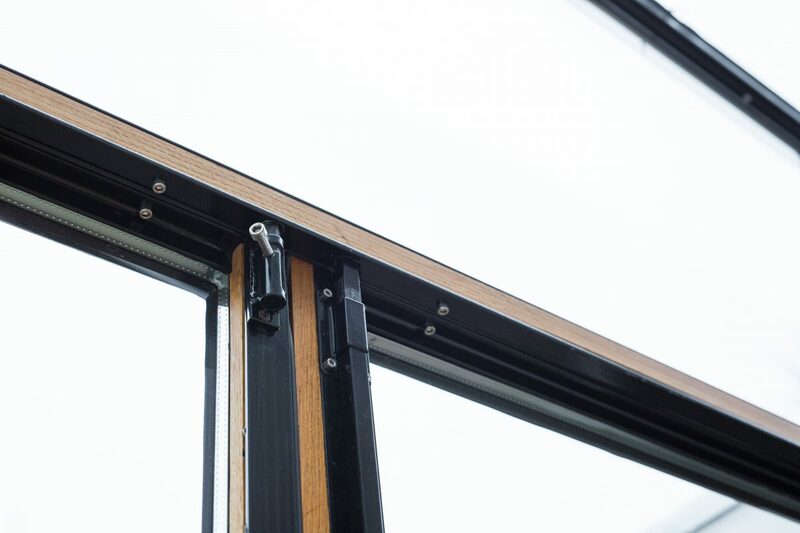 The wood of the floor is captured in the window frames giving the design classic continuity.